1. River Valley High School (RVHS), the NTU Nanyang Technopreneurship Center (NTC) and ideasinc are organising the #startathon Junior for students from Secondary 3, 4 and Junior College 1 (or their equivalents) on 27th and 28th July 2018. 2. 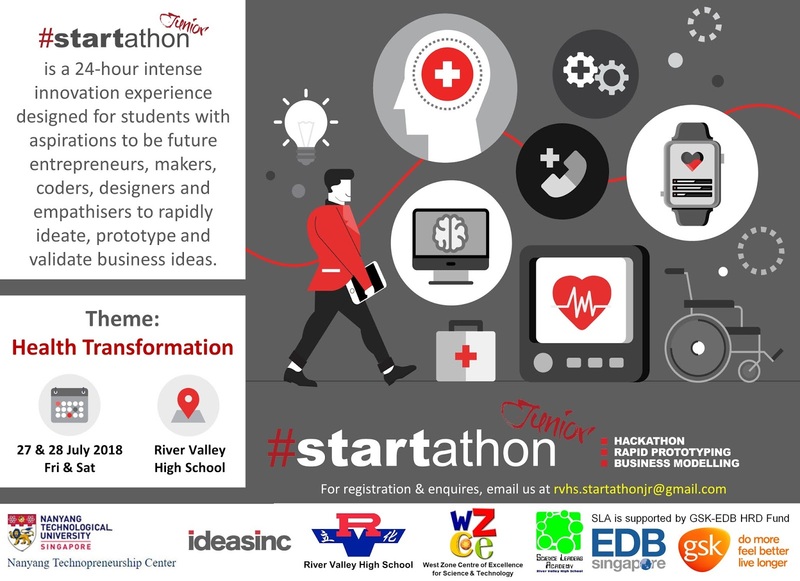 #startathon Junior is the high school edition of the actual #startathon organised by NTC and ideasinc targeted at tertiary institutions. Since 2016, RVHS has brought the competition to younger students from secondary schools, integrated programme schools, specialised schools and junior colleges. 3. 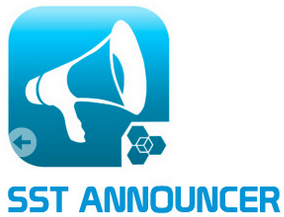 #startathon Junior is a competition that aims to instigate creative thought in entrepreneurship and value creation. Participants will apply their entrepreneurial skills and pit their wits against other peers in this intense and exciting innovation nation-wide event designed for young coders, dealers, makers, designers and emphatisers to rapidly ideate, prototype and validate their business ideas. 4. Students who are interested can email Mr Lam Hin Chew (lam_hin_chew@sst.edu.sg) for more information by 18 June 2018.